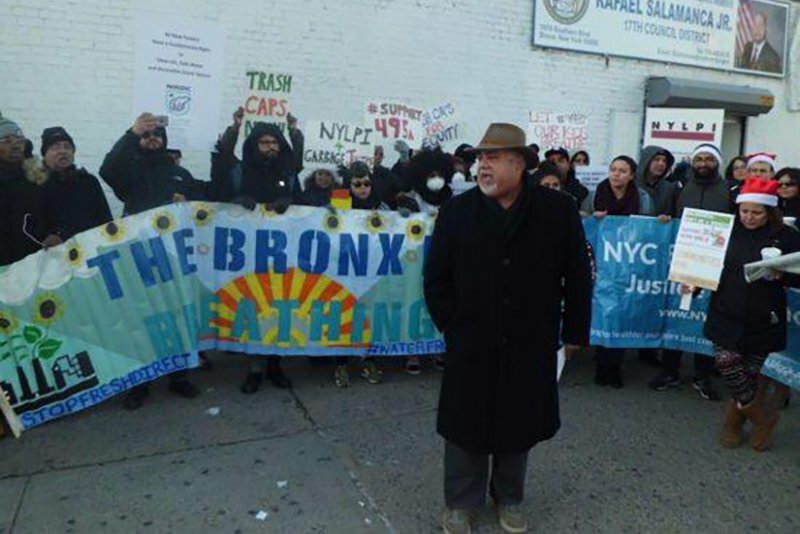 NYLPI helped organize a rally of Bronx residents yesterday at Council Member Rafael Salamanca’s office in the South Bronx to demand action to reduce trash and truck pollution. We called on the Council Member to support Intro 495A aimed at curbing trash and truck emissions in the South Bronx – which handles more than a third of the city’s waste. That burden results in high asthma rates and other health problems. NYLPI, TDT Report Shows Recycling Down Private waste haulers are actually recycling less and trucking more waste to landfills, despite new city rules.